Our Bible story a couple weeks ago was about Jacob. We learned about Jacob receiving his father's blessing, Jacob's ladder, marrying Rebekah, wrestling an angel, and reconciling with Esau. 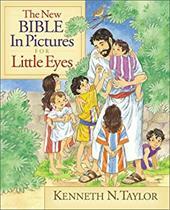 Most of our stories, once again came from our favorite toddler Bible: The Bible in Pictures for Little Eyes. We read this most mornings at breakfast. The story of Jacob was divided up into five different mini-stories, so we covered one per day. (We also read the two stories about Isaac to bridge the gap from Abraham to Jacob). As usual, Jonathan really engaged with the stories and the pictures in this Bible. It's just perfect for him at this stage. This was a recommendation from Hubbard's Cupboard. It's a lively story following a pair of energetic fraternal boy-girl twins from infancy to toddlerhood. The big, colorful illustrations show the twins playing, eating, bathing as well as celebrating milestones like walking and talking. The rhyming text is equally sweet. 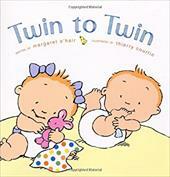 It's a great book for teaching and emphasizing the concept of twins. Jonathan has some friends who are fraternal twins, so the concept wasn't unfamiliar to him. Still, this was a sweet read. The story of Jacob also lends itself well to talking about being honest. Simon has written twelve short stories focusing on different biblical virtues for children. 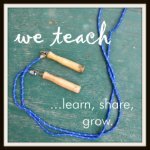 We read this short story about a little pig who learns that being truthful pleases God. We also learned the nursery rhyme Peas Porridge Hot (also per the recommendation of Hubbard's Cupboard). So that's how we learned about Jacob and Esau. Coming next week... Joseph!